Please help me in getting the results of the Ranchi university I am a student of the BA 3rd year? This process can help you get the results of the Ranchi university. Start the process by going on the official page of the university of Ranchi. Follow this by going on the examinations section. On that section you will find the link for the results of the university. Go on that select your course and get the result of the university. 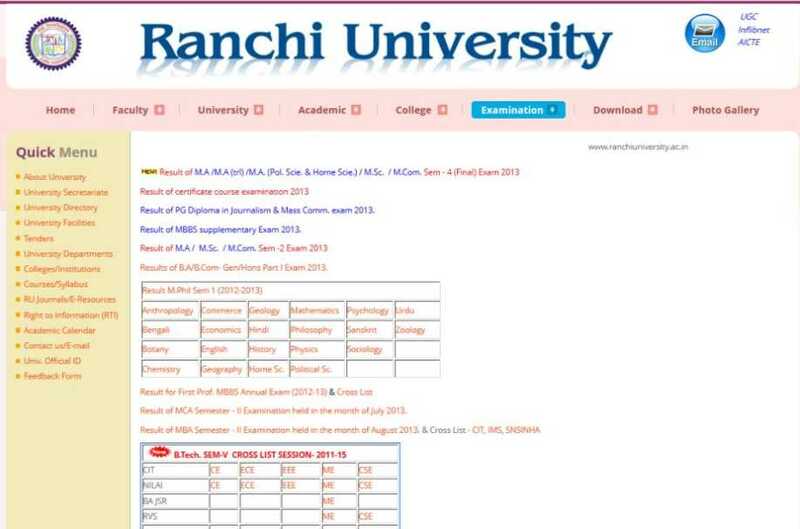 Image of the result page of the university of Ranchi.